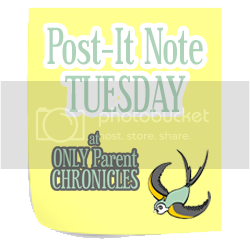 Only Parent Chronicles: Post It Note Tuesday ~ It's Almost July??? Post It Note Tuesday ~ It's Almost July??? We have been seeing crappy weather here in WA too! Yesterday was beautiful and 70's...today it was back in the 60's with rain! I wish we would get some warm summer weather. They are promising some for next week but I am not holding my breath! I'm so fed up with our weather. I seriously need some sun for a LONG time to be able to make it through our next winter. This has been so miserable! I feel like it's still April, too. So glad you & your daughter had some girl time. Can not wait to see all your flooring! I know you've been waiting a long time for it. And the weather....crazy isn't it? Its been back and forth here....one day we're in the 90s and then like today it started out at 60 and I've got the house open this morning. This weather is so reeedonkulous. I'll keep my weather comments to myself since yours isn't so nice, LOL. I can't wait to see your new floors! We'll be tackling that next year...I know seeing yours will make me inspired. 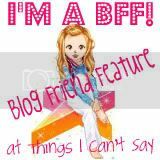 Just popped over from Destiny's blog to tell you I love the comment about "just ham." Too funny and I know it to be true cuz I've done the same thing! 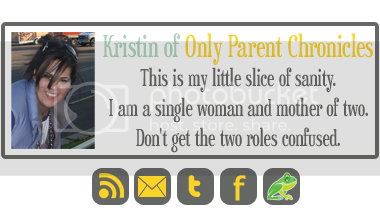 I just started "posting". Great idea! And thanks for the linky.